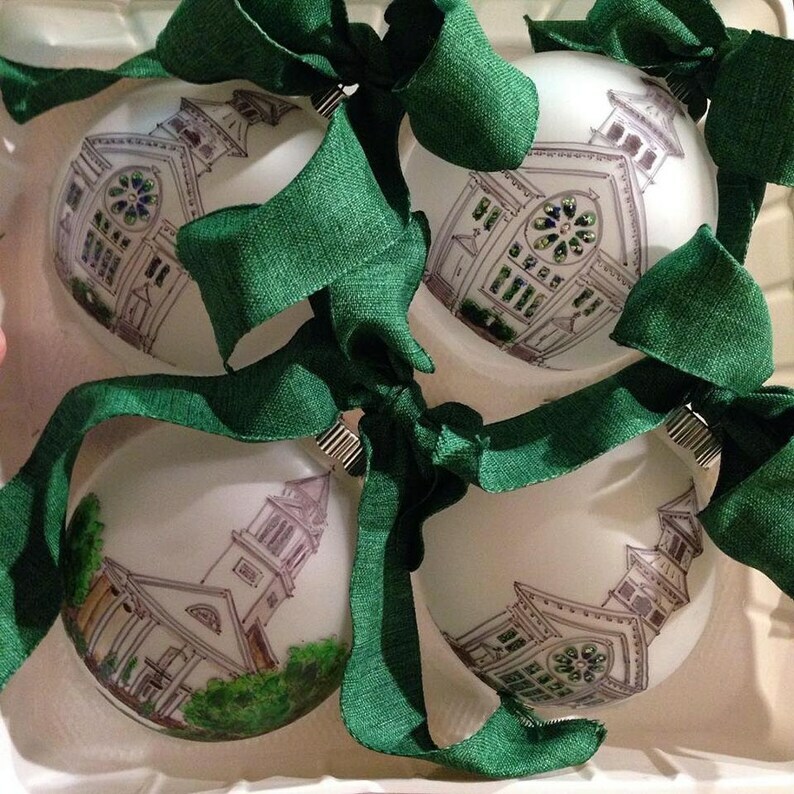 This ornament is hand-painted from a photo of your home, church, or venue. 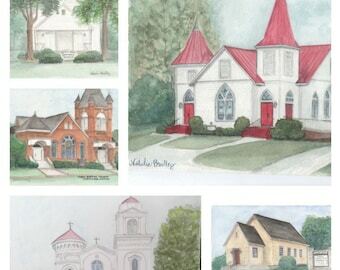 It is a simplified illustrated version of your home. Because of the nature of the round ornament, some details will be altered to fit the aesthetic of the ornament. This is painted on a frosted, translucent ornament so that the home glows from the light of your tree. Some details are left unpainted in order to allow the light to shine through more fully. Custom details like the family's name and/or date may be added. Message me with any questions! 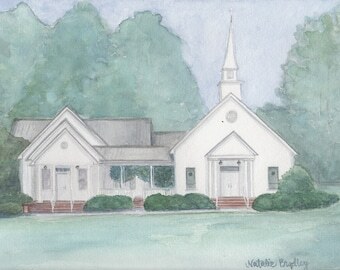 After purchasing, simply message me with a photo of your home, church, or special place and any special requests. 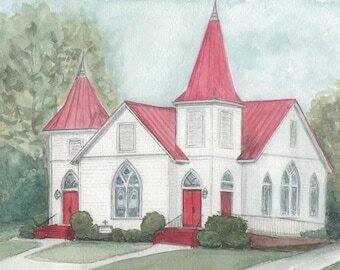 I look forward to painting this special place for you!